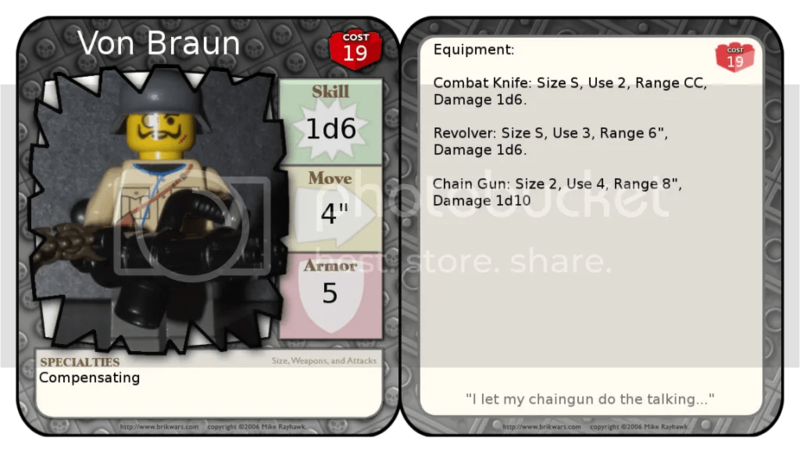 Von Braun left the Anarcho-Syndicalist Adventurers Guild when his squad was disbanded. So he returned home and looked up his old friend, Gunter Grass, who offered him a job in the Ekk Korps. He persuaded Viktoria to come with him. 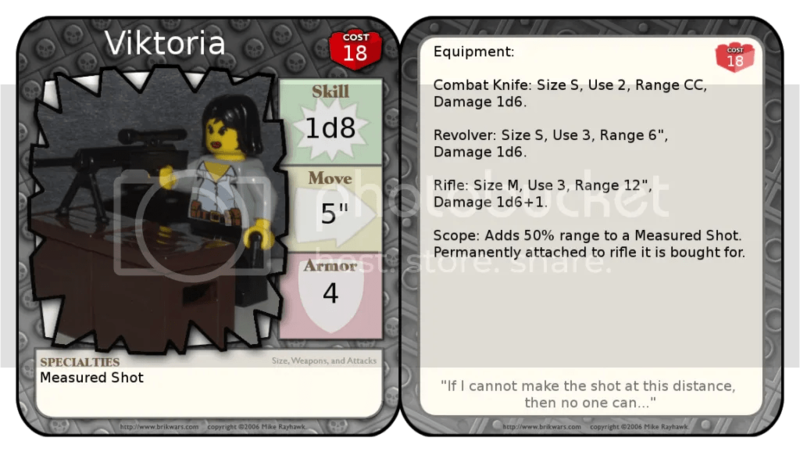 Viktoria was formerly a Sharp Shooter within the Anarcho-Syndicalist Adventurer’s Guild before leaving when her squad was disbanded somewhat unceremoniously. Now she has signed up for a stint with the Prussian Empire‘s Ekk Korps, despite being from the Soviet Rusk Republic. Von Braun had quite a lot to do with this, as it was his suggestion that she’d try her luck with the Prussian Army. When using a standard rifle with a fitted scope, the Sharp Shooter can add 50% effective range to a standard rifle so long as the minifig does not move that turn. 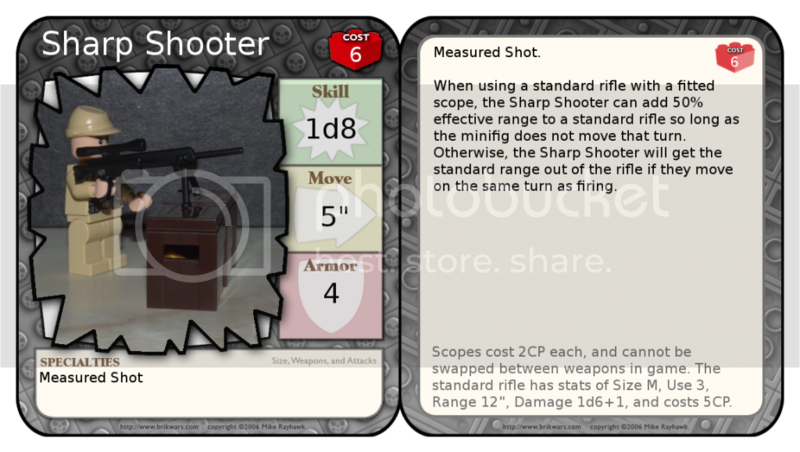 Otherwise, the Sharp Shooter will get the standard range out of the rifle if they move on the same turn as firing. Scopes cost 2CP each, and cannot be swapped between weapons in game.